Often problems are small and solutions simple, but a little bit of tech can make things a lot easier. If we get it right then no one will notice what we have done. 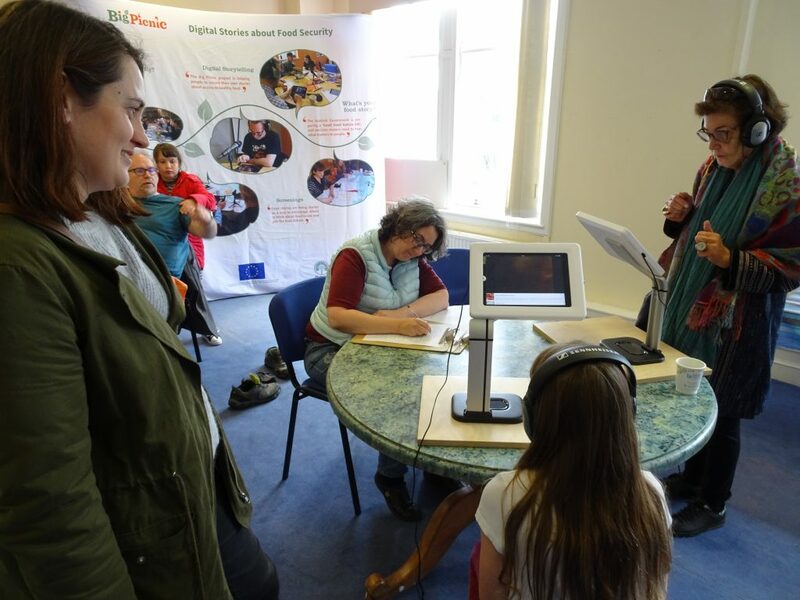 The BigPicnic project, funded by EU Horizon 2020, has been using video storytelling techniques to facilitate dialogues about food security. Participants use iPads to stitch together a series of still images and their personal narrative into a short movie. These Digital Stories are then used in workshops and conferences where participants can view the videos on a bank of iPads. The technical challenge encountered was not in making the movies. iPads and associated software are designed for individuals to work creatively in this way. The problem came when the same iPads were used to share the films in a more open, public facing environment. How could we make all the films available in the same way across multiple iPads without having to install and updated them individually on each iPad? How could we provide a really simple interface on each iPad that only gives access to the Digital Stories we want and no other features of the iPad? Using native or commercially available applications proved complex. There are multiple ways to lock down an iPad, but doing this and providing a suitable movie playing interface was problematic. To share the same experience across multiple iPads would need a network connection, but requiring good WiFi at every venue and joining each individual iPads to it would be a nightmare. The solution to the problem came in the form of a Raspberry Pi. Raspberry Pis are inexpensive, credit card size, Linux computers originally designed for educational purposes but widely used in all sorts of prototyping, scientific and even industrial applications. Pis have something of cult following. They can be plugged into a screen and used like a desktop computer, as “headless” devices to control printers or serve web pages or embedded in numerous other applications. Set up a Raspberry Pi as a WiFi wireless access point. Put a web server on the Pi that serves videos stored on a USB memory stick. Join the iPads to the Pi network by default. Lock the iPads down to just run the Safari web browser. Only permit viewing a single web address on the browser – the only one provided by the Pi. Launch a webpage fullscreen from the home screen of the iPad and lock the iPad on that app. 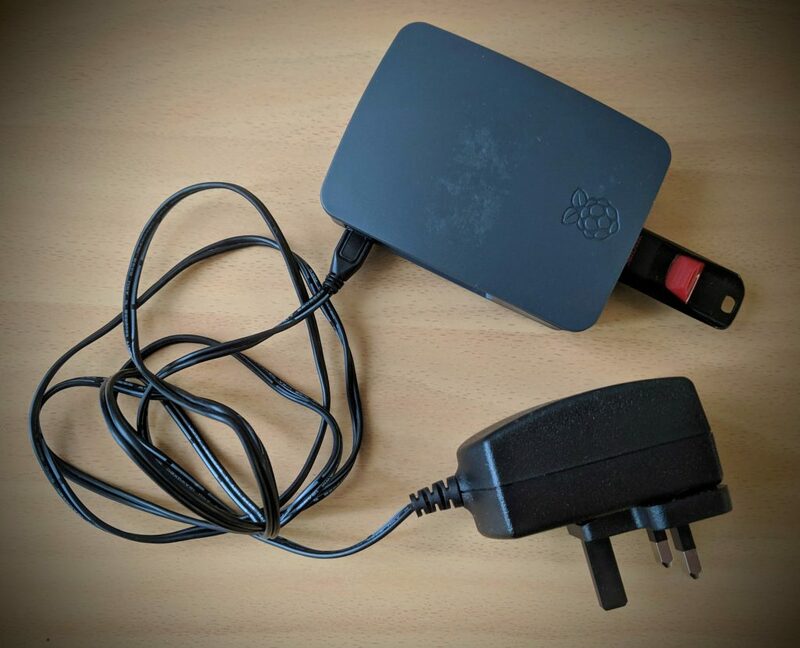 Plug the Raspberry Pi into the power (without the USB stick in it) and wait a couple of minutes for it to boot. Maybe start getting the iPads out. Plug the USB stick into the Raspberry Pi. Adding or removing videos from the presentation is as simple as adding them to the USB memory stick and following a naming convention for the files. There are limitations to this setup. The WiFi access point isn’t that powerful so it won’t serve high definition videos but it supports “good enough” quality for enough iPads to meet our needs. It also relies on caching on the iPads to a degree. It is important to test that a particular combination of videos and iPads will work before going public. Raspberry Pis can also be fragile if you turn them on and off too often and having one as a single point of failure is risky. Fortunately they are so inexpensive and small it is possible to carry a complete spare setup incase something goes wrong. It would also be feasible to have multiple Pis if one would not serve videos fast enough. You could buy six Pis for the cost of one of the iPads. We have used this setup at several public facing events including one at the Scottish Parliament. It will get its international premiere in Madrid at the end of February at the final event of the Big Picnic project. If you would like to do something similar we have made the code and configuration settings available on Github.